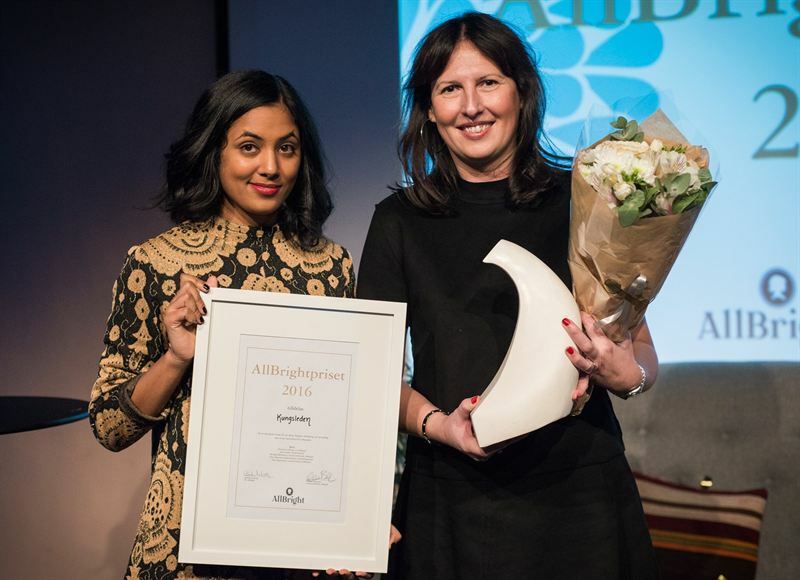 Kungsleden has been awarded AllBright’s gender equality prize. The Allbright Foundation annually awards a prize to the Swedish listed company that has pioneered gender equality over the past year. ”I am very happy about the prize that is yet another proof that we have done our gender equality homework. We have gender equality at all levels in the company and I am convinced that this diversity contributes to Kungsleden's development,” said CEO Biljana Pehrsson. All listed companies that have a gender balance in the management team were nominated for the prize and got the chance to answer a questionnaire on how gender issues are managed, conducted and respected within the company. The survey was addressed to the CEO and the employees. Among Kungsleden's employees 94 per cent responded to the survey. Many had also written own free answers and the consistency of the answers were great. A jury assessed the submitted survey responses and appointed Kungsleden the best listed company in Sweden when it comes to gender equality. "It is extremely gratifying that so many of our employees responded to the questionnaire. This shows great commitment and is in line with our values of professionalism, compassion and joy," says Biljana Pehrsson. The award was presented during the AllBright Day where experts from industry, academia and politics dive deep into how prejudices puts a spoke in the wheel of meritocracy. The information was provided for public release on 16 November 2016 at 07:00 a.m.